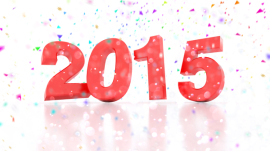 There are still a few hours to go before the clock strikes midnight and 2015 will be under way. As a business owner, you may want to tick a few things off a to-do list before you start the party. It is year-end for many business owners, and we have to be mindful of some business activities that can help us reduce our tax bill for 2014. If you don’t have a TFSA or a Registered Retirement Savings Plan (RRSP), now is a good time to start one. Jibe Accounting is here to help. We specialize in small business accounting and tax services. Contact us and we can help you optimize the tax benefits and credits available to self-employed individuals and small businesses. Have a happy and safe New Year! Wishing you all the best in 2015.